So, witches run in my family. Why doesn’t that surprise me? Susanna (nee Clark) was the wife of Josiah Rootes (1613-1683). Josiah Rootes of Great Chart, Kent, England, was among the passengers on the Hercules of Sandwich, John Witherley, Master, bound for “the plantation called New England in America,” in the spring of 1634/5. He came over with his mother and brother and was one of the founders of Beverly Church. He had taken the oath of allegiance and supremacy at Great Chart, and received his certificate from Robert Gorsham, curate of Great Chart, on 20 March 1634/35. The Hercules of Sandwich is probably the same as the Hercules of Dover mentioned by Winthrop as being here in the summer. ~~Samuel G. Drake, Result of Some Researches Among the British Archives for Information Relative to the Founders of New England: Made in the Years 1858, 1859 and 1860 (n.p. : H.W. Dutton and Son, Printers, Transcript Office, 1860; reprint Baltimore: Genealogical Publishing Co., 1963), 84. On June 25, 1678, Josiah made a sworn accusation of thievery against William and Elizabeth Hoar. He claimed the family had stolen (clothing, apples, wood and hay) from him for nearly twenty years, and he had only just discovered proof – in the form of Goody Hoar’s apron. When several neighbors came under suspicion of receiving stolen goods from Mr. Hale’s maid, Margaret Lord, Josiah Rootes complained to the court in a written statement that “for neare twenty years together we haue ben Aflicted by hauing owr goods stollen At sundri time And we not Abell To make due profe haue ben forsed To sufer owr seuellfes To be wrownged in estat And name: And god by his prouidens hauing latlie discouered sum of Theas wokes of darknes wee Judg yt. To be owre duty To speake in vindicasion of Truth and Conuictccion of sine…. He deposed in Salem Court that same month, aged about 65, and again, aged about 60, as did his wife “Susanah Roots, aged about forty-eight years…” Their son “Jonathan Rootes, aged about thirteen years, affirmed…” Among those who testified were Abigell Stone, jr., Abigall Ston, sr., John Lovet, jr. and Bethiah Lovet. In his will dated 15 May 1683, Josiah Rootes “of the towne of Beverly” leaves his entire estate to his son Jonathan after legacies are paid to his other children, Bethiah, John and Thomas. He leaves the use and care of his estate in the hands of his wife Susanna, who he names executrix, until Jonathan comes of age, after which, Jonathan is charged with his mother’s maintenance so long as she remains a widow.~~ George Francis Dow, Records and Files of the Quarterly Courts of Essex County, IX: 66. 67. Nine years later, as she approached her 70th year, she would find herself carted into Boston and thrown into jail with irons on a charge of witchcraft, which carried a sentence of death. Accusing neighbors of stealing is an ugly thing in a small community and perhaps, friends of William and Mary Hoars, Mary Harres and Tabitha Slew nursed enmity toward the Rootes family. Or perhaps jealousy of their wealth fueled the accusations. Supposedly Susannah was released due to insufficient evidence, but died less than a month later. Susannah ended up in the care of Ambrose Gale after Josiah died since she had no known family members who survived her. However, the arrangement was not without a business-like aspect. In June of 1684 the court ordered that Susannah’s inheritance should be given to Gale to reimburse him for expenses. It was agreed that with the transfer of her assets, Gale would care for her for the rest of her life. (Note: Susannah was the mother of Ambrose Gale’s deceased son-in-law, Thomas Rootes, husband of Elizabeth Gale. Not much is known about how she died. Maybe her decline in health and the conditions in jail made her too weak. 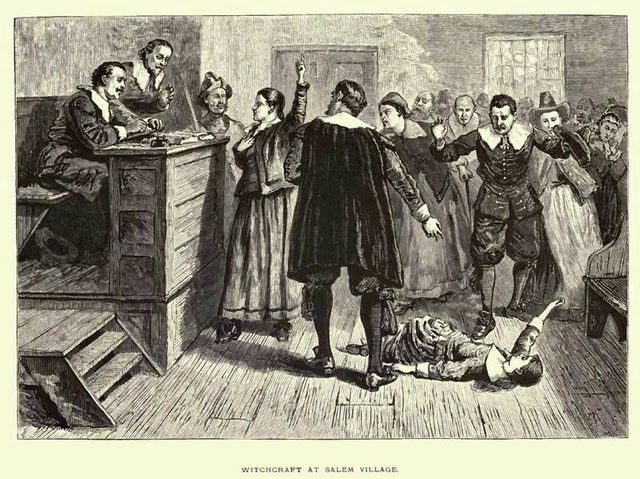 The entire case of the Witch Trials can be found here for anyone interested. By the way, dear family members. This is on the Logan side of the family. As always, if you see anything amiss, let me know.